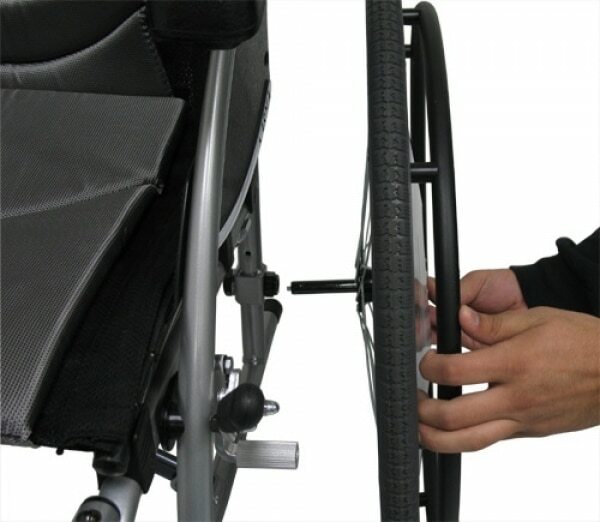 Large push button Quick Release Axles allow you to “pop” off the wheels without any tools and with just a push of a button on your wheelchair. Our S-ERGO lines have high quality and precision machined components that are NOT made in China. These axles are the best in the wheelchair industry with standards that supersede most general types of quick release. 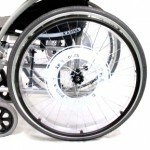 Quick Release Wheels allows you to easily reduce the weight and size of your wheelchair quickly and without any tools. Taking the wheels off allows for quick storage or inspections of tires and easy access to transportation. For those whom have the need to find more space in a trunk of a car or even just to change out a new set of tires, this is always a great way to have that ability.